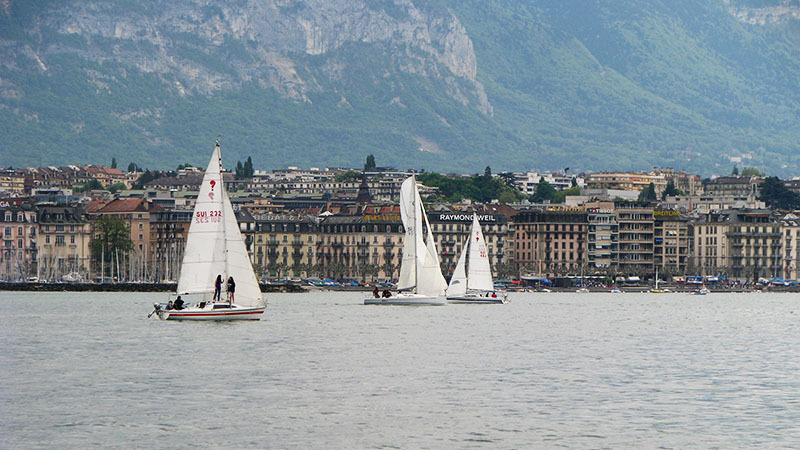 Home to the United Nations, Geneva is a cosmopolitan city located on the beautiful Lac Léman. Study at the University of Geneva and its affiliated institutes. International internship opportunities are available with human rights, security, global health and development organizations. Smith student applications for full-year, fall or spring semesters are due on the first Monday in February (2/04/19). Guest student applications will be accepted until the second Monday in March (3/18/19) on a space-available, rolling basis; applying by the February deadline is encouraged. The program begins with a three-week orientation including intensive French language study, culture and history courses, and excursions. During the semester, students study in French and/or English and follow one of the three program tracks. Intern at an international organization at least three days per week; study French; take the core Humanitarianism and Practicum courses at the Smith Center; enroll in at least one Graduate Institute or University of Geneva course. Available fall or spring; can be combined with Track B or C for a year-long option. Applicants are expected to have at least one semester of college-level French or the equivalent. This track welcomes students from every discipline in the Humanities, Social Sciences, and Sciences. Students take French at the Smith Center and choose additional courses at the University of Geneva according to their interests, major and level of French. Available for the academic year for students with two years of college-level French or equivalent; and spring for students with at least one year of French or equivalent. Enroll in four Smith Center and Graduate Institute courses each semester, including French language. Take a core Humanitarianism course at the Smith Center along with other International Studies/Development courses at the Graduate Institute. Available fall or spring. Available for students with at least one semester of college-level French. Can be combined with Tracks A or B for a year-long option. Resident Academic Director: Geneviève Piron, Ph.D.
French language classes include classroom and outside the classroom sessions in order to help students to find their way into the urban geography and culture of Geneva. Students practice oral and written French communication in immersion classes (small groups, 2-3 levels). Courses in Swiss Francophone Literature and History of Switzerland and Geneva are given to advanced and high intermediate students. A two-day trip outside the city of Geneva (for ex., Burgundy, Swiss Mountains) concludes the orientation. Students apply to one of three program tracks in Geneva. Students in all tracks are expected to study French or take a course taught in French each semester. Students are expected to take at least one University of Geneva or Graduate Institute course per semester. Students admitted to this track enroll in four to five courses each semester. All Track A students earn 14 credits plus an additional 2 credits for orientation. All Track B and C students earn at least 16 credits per semester plus the additional 2 credits for orientation. The centrally located Smith Center houses the offices of the resident academic director and the associate director, who provide academic advising and friendly guidance. The Smith Center has a study lounge with internet, computers and a printer, a small library, a classroom, and a kitchenette. This seminar is organized thematically and diachronically with two basic objectives. The first is to debunk a number of commonplaces about ruptures and continuities in contemporary international history and politics of humanitarianism and development. The second is to provide students attending the course with critical - not cynical - tools to understand current affairs. The seminar revolves around the history of Western humanitarianism, humanitarian actions and interventions. It expands on post-conflict reconstruction and rehabilitation programs as well as on colonial and post-colonial development programs conceived and enforced by state and non-state actors, such as international organizations, NGOs and philanthropic foundations. Students are required to read nineteenth, twentieth and early twenty-first century literature in history. Weekly readings also include political, anthropological and sociological works. French classes for all levels are based on linguistic training and immersion in the local and international environment. Beginners are taught the basics of language in a dynamic, communicative way adapted to the needs of everyday life. Intermediate and advanced students review and develop their linguistic skills, while exploring transdisciplinary topics such as Swiss Culture Throughout History, Francophonies, The European Idea, Translation in Perspective, etc. This is a required course for students enrolled in Track A. Designed to support the learning objectives of the internship placement, students choose a research topic related to the organization where they are interning, and meet regularly with an instructor who is a specialist that area. Students produce a 20-page research paper in either French or English at the end of the term. All students in Tracks A and B may choose to enroll in Université de Genève courses from the faculties/departments listed below. The language requirement to take full advantage of the courses is advanced. Some courses taught in English are available for students with less than two years of French. These are offered primarily in the spring semester in the English Department, Global Studies Institute, and Economics. Courses in classical studies, gender studies, French, English, cinema, art history, history, civilization in the Middle Ages, linguistics, comparative literature, musicology, philosophy. For foreign languages (Chinese, Japanese, Arabic, Russian), classes include more hours than at Smith. Courses in social sciences, political science, socioeconomics, economics, international management, and international trade. Courses in international economics, history, anthropology, international law, and international relations. One of the oldest translation schools in the world, the FTI of the Université de Genève offers courses in translation, linguistics, multilingual communication, and interpretation. The university also houses the Faculté des Sciences, Faculté de Psychologie et d'Education and the Faculté de Théologie. The Schools of Medicine and Law are not open to students on the Smith Geneva Program. Students on Tracks A and C will enroll in courses in fields of international studies at The Graduate Institute of International Studies and Development in Geneva. Track A students may enroll in one course; Track C students will enroll in two courses. The Institute offers courses in Anthropology, Economics, History, Law, Political Science, Sociology. Courses are provided in French or English, although all papers and oral presentations can be in either language. The Graduate Institute is a unique institution that links the academic world and international organizations. All students on the program can benefit from its libraries and unique research atmosphere. Smith College also has a separate joint BA/MA degree program with the Graduate Institute. 1The end date of the program depends on the student's choice of track and classes and can only be determined after advising. Track A and C students taking classes at the Graduate Institute can be finished on June 1. 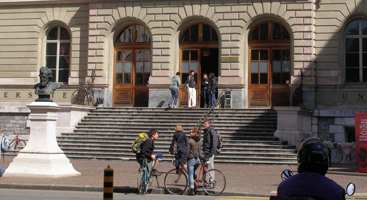 Track B students must take classes at the University of Geneva and usually have final exams. 2In the spring, students may stay in their rooms after June 21, 2020 if a final exam is scheduled after that date. In this case the student may stay two days beyond the last exam date. 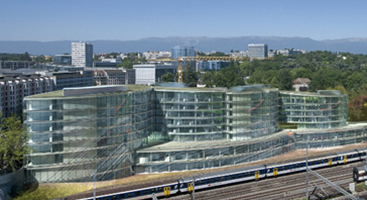 Year-long students live in international student residences in the center of Geneva. The CUP residences (Centre Universitaire Protestant), house students in fully equipped apartments which enable them to integrate into the life of the city and University. Each student has a single room in a suite with kitchen, bathrooms and common space that is shared with three to seven others. Students find it economical to buy groceries with the program-provided living stipend, and to cook for themselves and with their suitemates. There are many opportunities to connect with local students, including the popular wintertime University hosted ski trips. Fall or spring semester students occupy single or double rooms in different student residences: Cité Universitaire, a big community building for University of Geneva students, Résidence Vignier, a similar environment with many international students, or Home St-Pierre, a cozy women’s residence located in a historic building in the Old Town. In all instances, students have access to kitchen facilities and wifi. Semester students also receive a food stipend for their meals and have many opportunities to participate in University of Geneva cultural and sports activities. The city of Geneva, the surrounding region of western France, and destinations throughout Switzerland offer students a wide range of activities during the academic year. During the semester typical day trips can include the medieval Château of Chillon, the Swiss capital of Bern, the medieval French city of Yvoire and the Lavaux vineyards (UNESCO World Heritage Site). Small group and individual outings to the theater, the opera, the museums and to lectures on politics and international relations. The Association of the International Students in Geneva (Exchange Student Network) offers a warm welcome and organizes parties and events; the University of Geneva offers a variety of cultural activities such as theatre, dance, cinema club, choir, etc. The University of Geneva offers a wide range of sport activities. Among other activities, enjoy sailing or rowing on the beautiful Lac Léman, horseback riding, alpinism or a ski trip to the French or Swiss Alps. 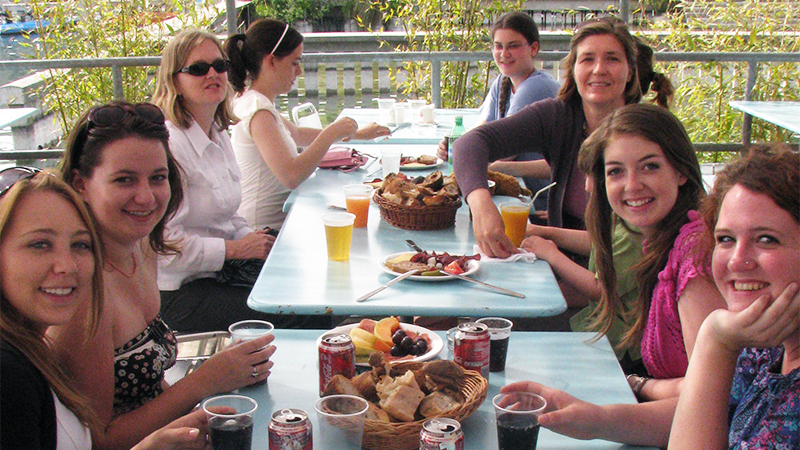 Occasional invitations from alumnae families to join them for discussions of the "Swiss way of life." Please be sure you meet Smith College's eligibility requirements for approval to study abroad. In addition, Smith in Geneva has its own program-specific requirements. Women and men from four-year colleges are invited to apply. All program tracks require a 3.0 GPA. Students can find the application materials and apply to a Smith Program Abroad online using the new Smith International Travel Experiences System (SITES) by clicking on the appropriate log in option below. Read the Study Abroad Guide (PDF). Meet with a peer adviser to ask questions, discuss plans or explore options. Confer with your major adviser and the departmental study abroad adviser. Smith Program Abroad fees do not include international travel, passport and visa fees, books and art supplies, and personal expenses including phone calls. Smith College students are eligible for financial aid on the same basis as when they are studying in Northampton (with a few exceptions). For questions about Smith financial aid related to study abroad on a Smith program, please visit Student Financial Services. Smith College does not provide financial aid to students from other institutions; those students should contact their own college for financial aid assistance. The German Academic Exchange Service (DAAD) together with the University of Hamburg are collaborating to offer scholarships to students who are studying abroad in Hamburg during the academic year. All year-long students (including guest students) are encouraged to apply to this merit-based scholarship. Two scholarships for €4,250 each will be awarded each year. Information on how to apply is included in the Smith in Hamburg program application. All students enrolled in one of the four Smith Programs Abroad are automatically covered by a supplemental study abroad insurance policy through Gallagher Student Health and Special Risk. Please note that this is a supplemental plan only. All students participating in these programs are also required to be covered by a U.S.-based primary health insurance and will be automatically enrolled in and billed for the Smith College student health insurance plan through Gallagher Student Health & Special Risk at the beginning of the term abroad. For students who are U.S. citizens, this insurance plan may be waived online at Gallagher Student Health & Special Risk if the student has another primary health insurance policy that provides comparable coverage. International students are required to be covered by the Smith College student health insurance plan through Gallagher Student Health & Special Risk as you would on campus. More information about insurance is available on our Health & Safety section. The Swiss government requires all students who are not EU citizens to obtain a student visa before arriving in Geneva. The Office for International Study (OIS) will facilitate a group visa application process for students studying on the Geneva program. Students must submit a copy of their passport valid six months beyond the end of their studies in Geneva with their Smith program application. Proof of application for a passport or proof of passport renewal such as a receipt will be accepted. Students (U.S. citizens, permanent residents and international students with valid U.S. visas) will submit all the required visa application materials to the OIS by the stated deadlines. The OIS will in turn submit the visa application materials to the Swiss Consulate in New York approximately 14 weeks in advance of the program start date. Processing may take up to eight weeks. Students will be notified by OIS when their visa applications have been approved. Students will then send their passports to the New York Consulate for visa issuance. Because students must send their passports to the New York Consulate for about a week in late July or early August, international travel during this time is strongly discouraged. Students who arrive in Switzerland without student visas will have to return to the U.S. to obtain the student visa. Please note that students who stay in Switzerland during the summer are responsible for all living expenses, visa requirements, medical insurance, etc. For resources and information about the Swiss visa application process, please visit the Geneva Accepted Students website.